I read about an interesting study in the early part of the decade on cab drivers in London, UK. As a result of having to mentally map and navigate an entire city, these drivers had, over time, developed an enlarged hippocampus (the area of the brain associated with memory and learning). Essentially, without getting into medical mumbo-jumbo, these men and women, while on the job, had their brains rewired and as such developed a sort of super memory. Lucky them. For the rest of us ordinary Joes and Janes - we have a hectic life that contributes to what I like to refer to as the scourge of the small business person - absent-mindedness. As a small business owner you are your business - you are sales & marketing, accounting, administrator, and CEO. Your primary objective is to grow the business, meaning you're on call 24-7. What complicates the matter is the "mobility factor" - your "office" could be at home, in the car, at a client site, or at some other location in your city or state. So now you have to lug around your laptop, business phone and maybe personal phone (if that's the case, you should really check out my1voice) and you have to ensure you have your briefcase, PDA, and the list goes on and on. How do you remember everything or ensure you have everything nearby when there's just so much to remember all the time? You can create a checklist for every time you go out the door, but that would be cumbersome and time consuming, and I've said it before and I'll say it again, money is not the most precious of resources, time is (I just saw the most recent trailer for Wall Street 2: Money Never Sleeps, where the great character, Gordon Gekko, reiterates my point). 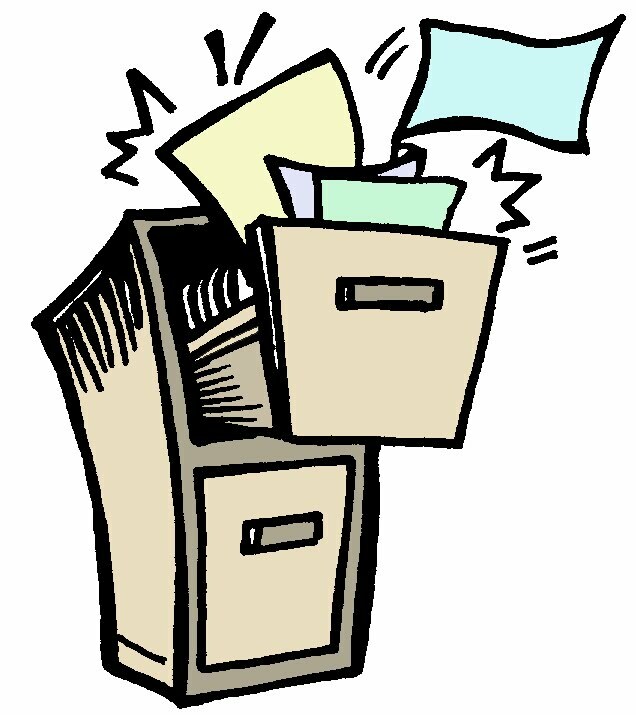 Physical paperwork adds to this dilemma, so much so that it has spawned an entire industry for online storage targeted at small business. Other companies wrap these services in fancy names like Content Management System and sell them to big business for a lot of money. Faxing is no different because whether you look at it from a mobility perspective (the machine doesn't go anywhere) or from a physical documents perspective (a fax machine prints everything), you quickly realize, "Houston, we have a problem." There are many free value-added features that are part and parcel of the MyFax service. Two that might help alleviate some of the pressures of remembering to bring everything, everywhere are the ability to store commonly faxed documents inside MyFaxCentral as well as one year of unlimited inbound and outbound fax storage. Available in the Send and Receive preferences section of MyFaxCentral, each permits you to leave all the fax paperwork behind like contracts, schematic designs and other important fax documents that are an essential part of the supplier-customer dynamic. Each gives you access to your important faxes from anywhere in the world you have access to an Internet connection and a web browser. Feel free to check them out! We know that removing fax documents from your list of things to remember will definitely alleviate the pressure of doing business on the road. 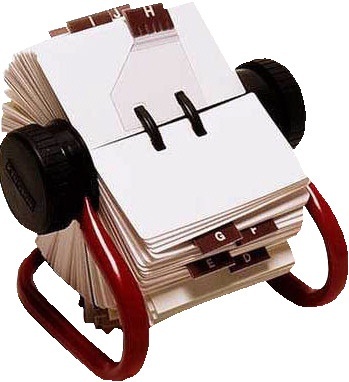 Goodbye Rolodex, Hello Fax...Wait, What? Those of a certain age will remember the golden era of American business when being a salesman meant the obligatory Rolodex, luxury air travel, dedicated secretary, and the three-hour lunch. The facsimile machine was a marvel to behold - simplifying document sharing, accelerating signatures close and far, and freeing up time for a round of golf. Today, the Rolodex is gone, air travel is, well, less than civilized, you're your own administrative assistant, and lunch is ten minutes at your desk. But whatever happened to the fax machine? Well, in the words of the inimitable Mark Twain, "the reports of my demise have been greatly exaggerated." With an estimated 20 million fax machines still operational across the US, faxing remains vital to the operation of many businesses - used to order inventory, invoice customers, and comply with legal and regulatory documentation requirements. Anyone who works in (or who has customers in) healthcare, real estate, or the financial industry still see faxing as a core element in their day-to-day business. Go figure! For the folks selling to these businesses today, it's all about the pipeline or funnel - filling it, managing it, reporting on it...from anywhere at any time! To do this efficiently and effectively, most businesses have gone electronic with their prospecting and sales forecasting activities, somewhere between spreadsheet management and fully deployed Customer Relationship Management (CRM). So where does faxing fit in this new, searchable, mobile, online age of sales? The trick is in integrating the best of the old with the best of the new, as opposed to forcing new or different workflows on your prospects and clients, or trying to keep track of two parallel communications channels. Let's look at Salesforce CRM and the integrated MyFax app as an example. 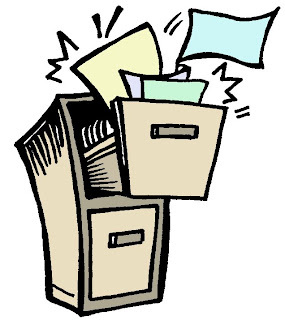 Improves the fax user experience - internally and externally. If you haven't tried MyFax for AppExchange, click here to get started. And as always, share comments below on how YOU integrate fax into your sales workflow. One of the greatest things that has happened in software over the last decade - and which isn't trumpeted enough - is the ability of software programs to interface with one another. This ability to integrate one program with another truly paved the way for the current app craze. The advantages are blatantly obvious - there are just certain software applications used by everyone in business, and the more integrated they are, the more efficient the user can be. Why is this important? As I've noted in previous posts - for a small business owner, time is a precious resource. Rather than cut corners on things like running their business, these enterpreneurial folks multi-task to get things done. Customer relationship management (CRM) is a staple for organizations big and small, whether they're for-profit or not-for-profit. There are, of course, many CRM solutions out there, and depending on organization size or function, there is usually a common preference. For instance, ACT!, SalesForce CRM and Microsoft Dynamics have historically been tailored to SMB, mid-sized and corporate customers respectively. Increasingly, most vendors now segment the CRM market by releasing various versions of their software and/or service with limited or increased functionality (depending on their target). So what are the advantages of using a CRM solution? I could go through an entire list, which would change depending on what your industry was or what your job function is. Better yet, I'll describe a situation that many of us have probably experienced - being called by a company, of which you are currently a customer, and being sold a product that you already own/subscribe to. Nothing makes you feel like a valued customer like that conversation (and afterwards), and this really stresses the need and importance of using a CRM. For small business, ACT! by Sage has been one of the more popular CRM applications, with an active user base of 2.8 million users. As noted above, different ACT! versions now exist, tailored for bigger companies, different industries (real estate, financial) and those geared toward software-as-a-service. ACT! 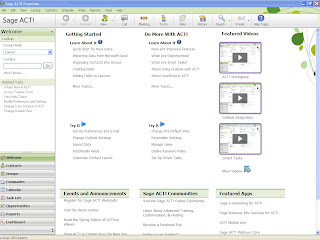 includes contact management, prospect tracking, a calendar and communication tools, along with reporting and dashboards. It easily integrates with office software like word processing and email programs. Sound familiar? MyFax does the same - we're fully integrated into Microsoft Office and other word processing software, as well as popular email programs like Microsoft Outlook and Gmail. ACT! and MyFax can easily integrate with one another via the MyFax for ACT! plug-in, a free tool that's available as part of your MyFax service. Using this plug-in, you can easily track your history of faxes sent to ACT! Contacts; easily send faxes to an unlimited number of ACT! contacts; use Mail Merge ACT! 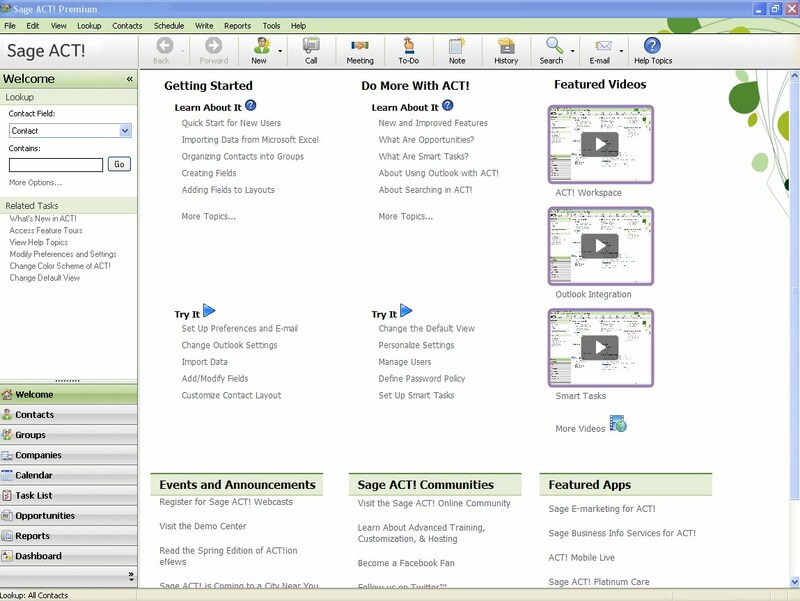 templates to personalize your faxes; and view received faxes directly within ACT! for up to 365 days. ACT! isn't the only popular CRM solution that MyFax is directly integreated with. In an upcoming blog post, we'll review MyFax integration with SalesForce CRM. Either way, with MyFax for ACT! integration, we hope our small business customers enjoy the few extra minutes in the day. Stand Up and Be Counted - Gizmodo Wants to Hear from YOU! It's time to be counted! Gizmodo, a leading technology site, recently posted a contest inviting readers to vote for the Best Online Fax Service on the market. We're thrilled that MyFax is included as an option. And if you're thrilled with your MyFax service, we hope you'll consider adding your vote here. Add Me, Like Me, Tag Me, Follow Me, Tweet Me...HELP ME! Social media is a phenomenon - how else can you explain that approximately 10 percent of the world is on Facebook? Still not impressed? Then add Twitter, MySpace and the host of others, and you're on the fast track to a billion...that's billion with a b. In its infancy, as the potential was understood, it was all about how these companies could make money, attract investors, and go public. For other companies it was how to monetize participation on these sites - sell, sell, sell. In my opinion, both have failed. The vast majority of social media sites, if not all, have struggled wtih advertising-driven models, and the vast majority of companies haven't sold anything. In most cases, the challenge has been about walking the fine line between making money and respecting privacy. I have no doubt that eventually somebody will strike gold and create a business model that will lead to the big IPO...but I'm not holding my breath, and neither should you. Some companies have approached social media in a very simple and straightforward way, leveraging it to keep a continuous dialogue with their customers and as part of their SEO strategy. It's these companies that have benefitted the most, and ironically, usually turn a better profit. It's these companies that small business owners can learn from. One of the fundamental rules you're taught from the get-go in any college marketing course is something I like to call the law of customer service. The law of customer service teaches that it's roughly eight times less expensive to keep a customer than to go out and get a new one. Think about what it costs you to get a customer - and don't just consider hard currency, think of other resources like the time it takes to nurture that potential customer, to sell to them, to convince them to pick you rather than a competitor, or alternate service/solution. Now think about your best customer - the one that loved your service so much that he or she not only keeps coming back, but refers people to you. Now imagine an army of customers just like that customer. Large companies obviously can't be on a first-name basis with every customer at the same level that a small business can be - but they certainly have been trying with social media. These companies understand that customer service must be 24/7 - done by phone, email, etc. Sound familiar? It's what is offered to you as a MyFax, my1voice and/or Campaigner customer. 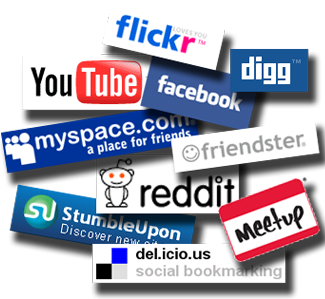 But with the average US Facebook usage at over six hours per month, social networking has become a natural extension to that. So these companies "take to the streets" so-to-speak, and ensure that customers (both happy and unhappy) are heard and engaged. So where's the lesson to be learned here? For small business, social networking can be great for networking, and trying to sell your business products or services, but its true value for your business is keeping you in touch with your customer base. I encourage you to join in the conversation on our own social media pages - Twitter, Facebook, and LinkedIn. We look forward to continuing the discussion here. Results of the First MyFax Customer Contest...and Some News! Our first MyFax customer contest closed at 11:59 PM last night and it was a resounding success! This morning we had a random drawing from all the entries that answered the three questions correctly and the lucky MyFax customer who will soon be receiving a brand new iPod touch is...KYLE KINCAID!! Congratulations, Kyle, and thank you so much for entering our contest! We had tons of entries and some really good feedback. Because we had such a resounding success, we've decided to hold this contest again! That's right - our second MyFax contest for an 8 GB iPod touch starts RIGHT NOW! It's the same as before - just copy the skill-testing questions below into a Word(R) document, add your answers along with your name, phone number, MyFax account number and email address, then use your MyFax account to fax the document to 1-866-257-2046. You can even enter as often as you'd like! This contest ends on October 15th, at which time we'll do a random drawing from the entries that have answered all three questions correctly. The winner will be notified by email and announced right here in the Inside MyFax blog! 1. Is there a MyFax app for the iPhone? 2. Can you add cover pages when you fax with MyFax? 3. How many days per week is MyFax customer support available? Don't forget - you can enter as often as you like. And...if you have a friend you think would benefit from MyFax, send them a free month and get one for yourself at the same time. Refer a friend today! *You must be a MyFax customer and at least 18 years of age on the day the contest opens (August 31, 2010) to be eligible to win. Contest not open to residents of Quebec or Rhode Island. No purchase necessary. Void where prohibited by law. Full contest details available at http://www.protus.com/legal/contestrules.asp. Odds of winning will vary depending on the number of entries submitted. Contest ends 11:59 PM EST October 15, 2010.